Every step of a traveler’s journey is an opportunity to reach them and propose tours & activities on your website. Below are some tips about when, where and how to cross-sell and upsell. Travelers are not waiting until the last minute when considering what they will do at their destination. Open a category featuring extra travel services on your website and include the link to your VELTRA affiliate pages. Communicate about your partnership with VELTRA and the availability of tours with your company through your newsletters and other marketing media. Link to VELTRA from all travel-related content pages like travel guides, Point of Interests pages, Destination page, etc. Cross-selling VELTRA tours & activities on your check out/ thank you page and confirmation voucher can boost your revenues. Depending on your industry, the conversion rate on these pages can reach up to 20%. Simply add a link or banners on these pages. 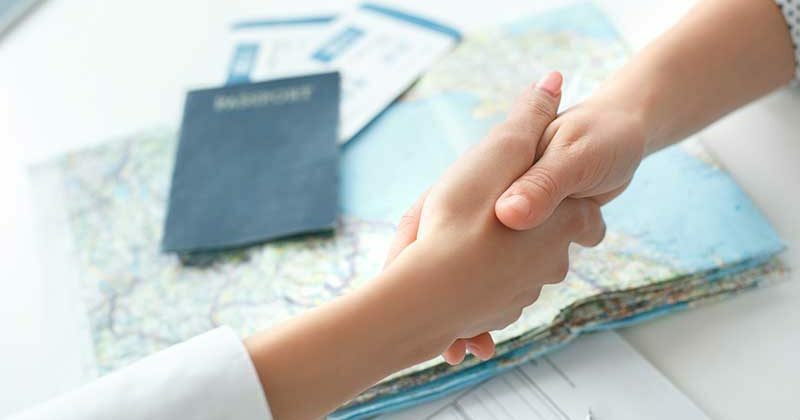 Between the traveler booking and the time of travel, there are opportunities to cross sell targeted offers for tours and activities. At this stage of the travel process, one of the highest conversion rate can be achieved by sending personalized offers by email to the traveler. Most travelers book tours and attractions in market, often last-minute. PRO TIP : The more targeted the offer, the higher your conversion rate and revenue!